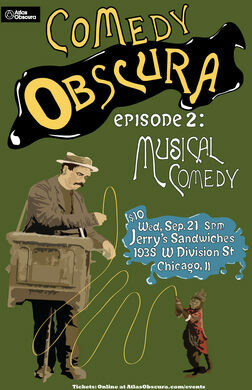 This is the second installment of a series where Chicago comedians Nicky Martin and Charlie Vergos showcase the best, weirdest, and most innovative comedic performers in Chicago, with each show curated around a different theme. This time, we've built a show entirely of comedians who use music in their act in some way shape or form. Doors open at 8, show starts at 8:30. 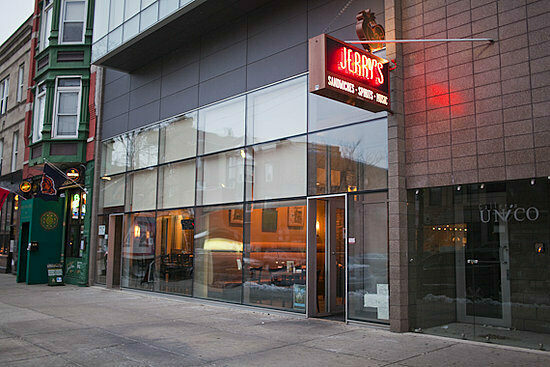 What Jerry's? There is a side room at Jerry's the performance will be hosted, not the main service area. Parking? Street meter parking, watch out parking on side streets some are for residences only. This event will be hosted by Field Agent Charlie Vergos, a Chicago-based comedian with an abundance of curiosity and a short attention span. Though originally from Memphis, his series of day jobs as an architectural tour guide, double decker bus tour guide, deep dish pizza waiter, and graphics assistant at the Onion have given him a knowledge and understanding of Chicago that rivals most locals. He also has a lifetime watermelon eating contest record of 3-0-0. Charlie performs regularly all over the city and has been featured at the Laughing Skull Festival, Zanie's, the Paper Machete, Hell Yes Fest, the Memphis Comedy Festival, and the Crossroads Comedy Festival, among others. You can follow him on twitter at @CharlieVergos.